Whether you’re looking to transform your daily commute or want the perfect car to handle every weekend trip, leasing a BMW can be a thrilling way to get behind the wheel of an outstanding car. At BMW of Westchester, you’ll find a complete inventory of luxury vehicles. We have years of experience assisting drivers near Westchester County, NY find the right car for their needs. From the spacious X5 to the sporty 3 Series to the class of the 5 Series, there’s a BMW out there for every driver. With so much to do in Westchester County and surrounding areas, it’s a joy to travel near and far in your next BMW. Take a trip to Rockefeller State Park for a day of hiking with friends or family or head to the Hudson River Museum for a learning experience the entire family will love. There are many parks, wildlife areas, and landmarks to discover in the area, and when you’re behind the wheel of a freshly leased BMW, you can experience them all. When leasing a BMW, you’ll experience the class, performance, and features of a luxury vehicle. So why lease one of these fine cars? 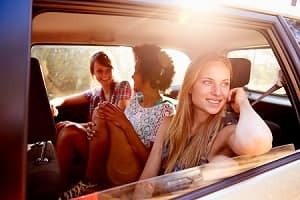 When leasing, you won’t have the same cash commitment as you would when financing a loan, and you only have to pay for the value of the car as it’s leased. You don’t have to think about the car losing value in year 10 or 12 of ownership. Leasing also lets you upgrade to the latest technology and features available on the market. This type of technology changes every few years which makes leasing an attractive option. When the lease is up, search for the next BMW you want to drive. Buy out the remainder of the lease and own the vehicle. There’s flexibility when it comes to leasing. Get a feel for some of our lease offers, whether it’s a BMW convertible, sedan, or SUV. Your needs are first and foremost, and a lease deal lets you bring home the model you want to drive. Experience BMW luxury! Through our customer service, resources, and advice, our financing team works to find lease terms beneficial to you. 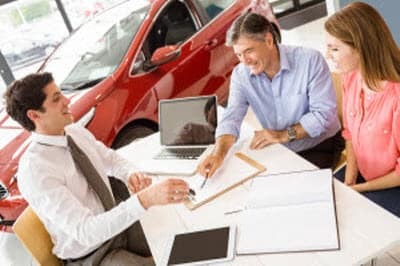 Our financial team will discuss term length and conditions, registration and title information, and warranties to consider when leasing a vehicle. Get the process started by applying for financing or see the trade-in value of your current vehicle. This can be applied to the BMW lease you’re interested in. Shop our inventory of BMW vehicles online today! It’s the easiest way to get a complete look at all available options before even visiting the dealership. Of course, we’ll be happy to welcome you to our showroom floor and answer any questions you may have about the lease process. Get in touch with us today! We look forward to helping you experience BMW luxury the way it’s meant to be enjoyed.